Professor. College Vice-President. Author. Politician. 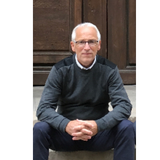 Kjell Olof Urban Lejon updated their profile information. Kjell Olof Urban Lejon added the interest Church History. Civil Religion. Western Thought. Kjell Olof Urban Lejon changed their profile image. Civil Religion or Public Theology?